Extra: ünnepi királyi fotózkodós szókincstár képleírásos kifejezésekkel! Captured by Testino after Princess Charlotte's christening William and Kate radiate happiness as they pose with their beautiful children at Sharingham. This is the special moment _____(1) the world's most famous photographer captured the world's most famous family as they celebrated the "wonderful" day of _____(2) daughter's christening. Standing in the garden of Sharingham House, dappled in sunlight and smiling broadly _____(3) the camera, the Duke and Duchess of Cambridge share an intimate family portrait taken _____(4) Mario Testino of the couple with their two children, Prince George and Princess Charlotte. As little George plays with _____(5) lock of his dark blond hair, his baby sister, dressed _____(6) the royal christening gown, looks alert and on the verge _____(7) a smile. The fact _____(8) the children are calm is a testament to the winning ways of the photographer, _____(9) managed to get the best out of them despite a few tears earlier in the day. The picture was _____(10) of four beautiful official portraits taken by Mario immediately _____(11) Charlotte's christening service _____(12) the nearby St Mary Magdalene Church. As well _____(13) a formal portrait of the royal family _____(14) the Duchess's family, the Middletons, Mario also took individual pictures of the proud parents, including a lovely snapshot of Kate cradling her daughter and another of William and George. Releasing the photos _____(15) Twitter, Kensington Palace said: "The Duke and Duchess of Cambrige and their whole family had a wonderful day...They are very happy _____(16) share these photograps and hope that everyone enjoys them as much as they _____(17)." 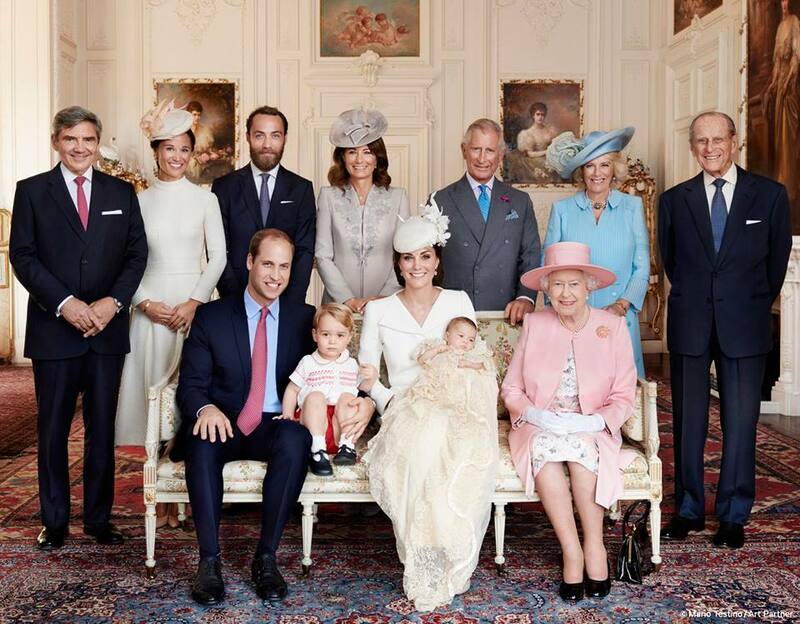 Mario Testino, who had arrived at the Norfolk estate _____(18) helicopter, said later: "Photographing Princess Charlotte's christening was _____(19) amazing experience. What impressed me the _____(20) was the energy of the family and of that _____(21) the Duke and Duchess. One sees how solid they are together and one gets a sense of their strong family values." "It was incredible to be able to document four generations of the British royal family _____(22) - the monarch and three heirs to the thone - and very heart warming to see the close relationship between _____(23) all. Much has been made of the positioning of family members in the formal group portrait, taken in the drawing room at Sharingham after the 45-minute church service, _____(24) was attended by just 21 guests. The photo shows Kate _____(25) the centre, seated on a sofa with nine-week-old Charlotte on her lap, with William and George on one side and the Queen on the _____(26). Behind them are _____(27) Middletons - Michael, Pippa, James and Carole _____(28) the left, and the royals - the Prince of Wales, the Duchess of Cornwall and the Duke of Edinburgh - on the right. 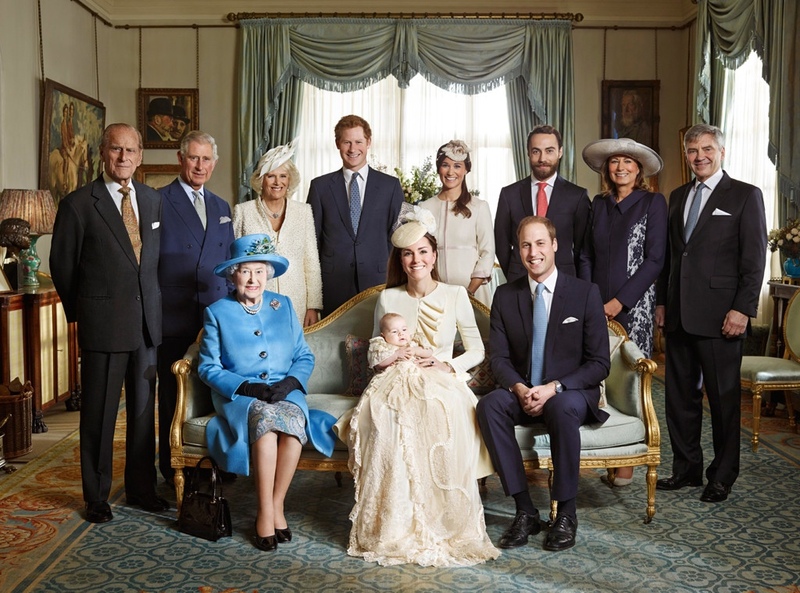 The two families have swapped sides from the official picture of George's christening, and grandmother Carole, it was noted, has moved to central position. In the background hang portraits of two other Princesses - the daughters of Edward VII and Queen Alexandra, Princess Victoria and Maud. Perhaps the most spontaneous of the four portraits is the _____(29) and white shot of William and George who is caught giving a big, toothy grin - his first for an official picture. 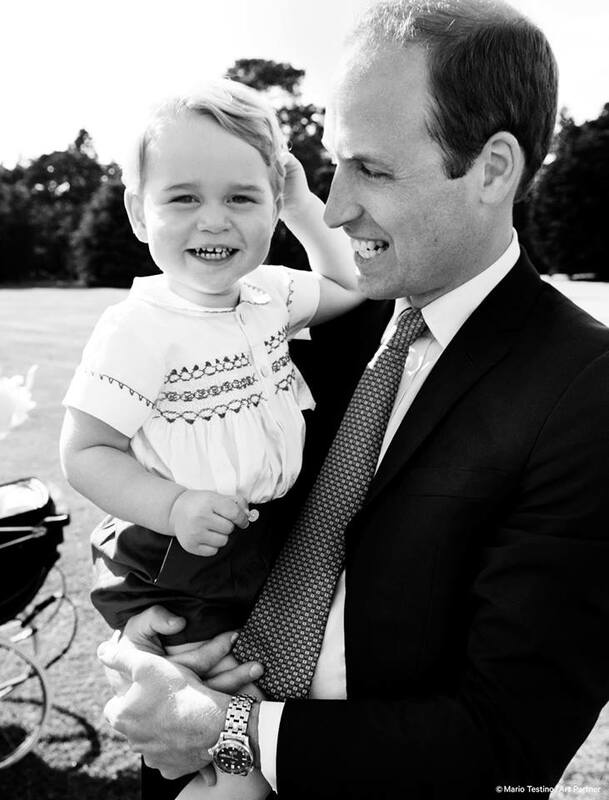 Gorgeous George, who turns two this month, had displayed typical toddler behaviour for his sister's big day, waving to crowds, throwing stones, treading on his father's feet, peering _____(30) her pram and, at one point, having a little cry. But by the time he was back at "Nanny's house" - as William could be heard describing the Queen's Sandringham residence to his son - and scooped up in his father's arms for their picture, the tears had dried and he gave his most winning smile.